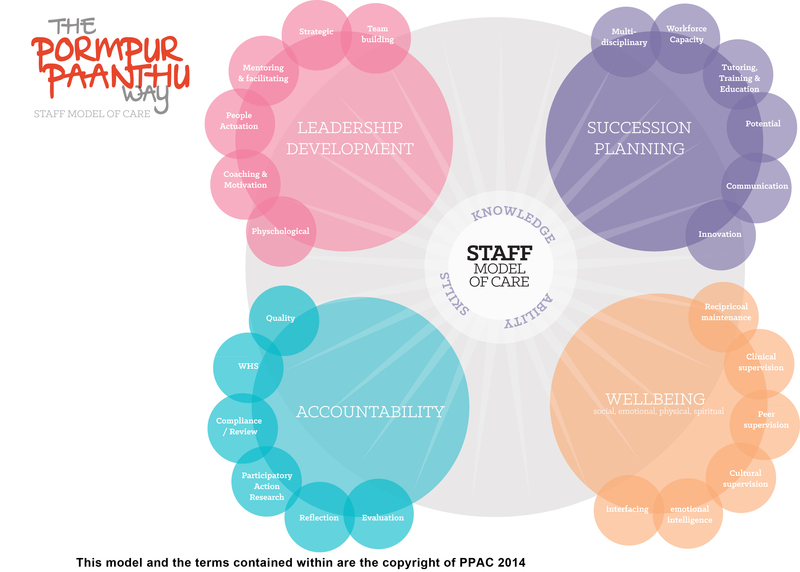 Pormpur Paanthu Aboriginal Corporation values its staff and therefore has designed a model of care to work towards. It inspires innovative thinking, quality, best practice and organisational enhancement. It promotes optimism, reciprocal maintenance, and an inclusive learning culture that translates to increasing staff wellbeing, community wellbeing, job creation and sustainability. It promotes and creates safe space to discuss, evaluate difference, instil values and acknowledge champions of change.